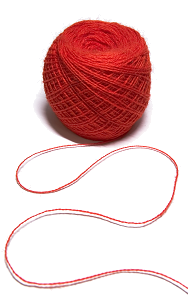 The first man made fibre to be used in cordage was nylon, which was introduced by E.I DuPont de Nemours and Co. in 1938. It is a long-chain synthetic polyamide in which less than 85% of the aramid linkages are attached directly to two aromatic rings. It is produced in two basic types for rope making, namely nylon 6 and 6/6. They both have similar properties, though nylon 6/6 has a higher melting point, and a greater average toughness. Type 6 has slightly less reduction in strength when wet. Fiber tenacities range from 7.8 to over 10 grams per denier (gpd). Nylon has a high strength to weight ratio and excellent energy absorption characteristics. This gives it desirable properties in certain applications such as lanyards and dock lines where strength and shock absorbing characteristics are sought after.These highly elastic ropes do have disadvantages when lifting head room is restricted. The elongation of nylon ropes under actual service conditions is considerably less than that experience at break. Typically these ropes when used under the right service factors will stretch 10 -15%. Initially the rope will stretch further than this, and some permanent deformation will take place, approximately 7% of the original rope length. Therefore all Nylon ropes should be stretched before being put into service.